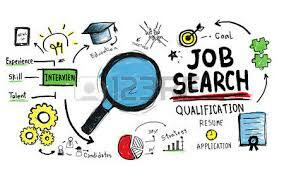 EXPERIENCE: 1- 3yrs experience; preferably in the HMO industry (2 each) RENUMERATION: 100k-150k Interested? The Wells Carlton Hotel & Apartments in Abuja, Nigeria, is currently searching for an Executive Sous Chef. We are due to open June 1st, 2017. This position assists in the managing of 4 kitchens, baking, butchery, room service and banqueting. KEY OUTPUTS: • Stock Control • Kitchen Hygiene • Rosters • Maintaining the company's standard • Staff management • Personal contact with guests • Ensure all menus are followed and food standard is excellent at all times • Adequate knowledge of HACCP Single position. Expat benefits. Interested? A Nigerian conglomerate with HQ in Lagos and production plant in the East is currently recruiting to fill the following vacant positions in one of their FMCG subsidiaries: Plant Manager, Quality Assurance Manager and National Sales Manager. Minimum years of experience for the positions is 7 years. Job location is Abia State. Conditions of Service very attractive. If interested kindly forward CV to: monuoha@j3consulting.com.ng before end of this week. A Nigerian conglomerate with HQ in Lagos and production plant in the East is currently recruiting to fill the following vacant positions in one of their FMCG subsidiaries. Minimum years of experience for the positions is 7 years. Job location is Abia State. Conditions of Service very attractive. You will manage the delivery of an effective marketing strategy for the organization, delivering external and internal communications. • Responsible in planning and implementing marketing campaigns via a number of media platforms, including digital and direct marketing activity. • Strong knowledge in corporate communication management, sales presentation. 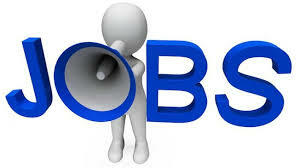 • Strong knowledge of the IT/Telecom Industry. Qualifications/Competencies • Minimum of Bachelor’s Degree, a Master’s Degree is an added advantage. • Minimum of 7 years experience working Management/Supervisory experience is essential • Experience in Telecoms or technology sector required. • Professional Qualification in CIM will be an added advantage. *Proven analytical thinking, project management skills, and exceptional organizational skills are essential. *Ability to think strategically and tactically, with attention to detail. *Tenacity to develop ideas independently and thrive in a fast-paced start-up environment is essential for success. *Strong business judgment with a track record of successful negotiations and overall relationship management. *Must have a minimum of 1 year experience working as a nanny or child minder. Interested and qualified candidates should send their CV’s and Cover Letter (with the relevant position included in the subject line of your email) to: NASCONcareers@dangote.com. Application Deadline 22nd March, 2018. Requirement: Teamwork, leadership and organizational skills are critical. · Ability to use Microsoft office tools at basic proficiency level ( MS Word, Excel, Powerpoint & Outlook). · Familiarity with structured problem solving tools and ability to arrange data in clear, concise, and well-organized written reports. Click here Application Deadline 2nd April, 2018. · Leadership skill, organizational and people management skills are crucial. · Ability to use Microsoft office tools at basic proficiency level ( MS Excel, MS Word, MS PowerPoint and MS Outlook). · Familiarity with structured problem solving tools and ability to prepare clear, concise, and well-organized written reports. · OND in any relevant field. · Knowledge of SAP is an added advantage. Click here Application Deadline 23rd April, 2018. Interested and qualified candidates should send their updated CV’s to: hrexecutive@montaigneplace.com. Application Deadline 30th March, 2018. Interested and qualified candidates should forward their CV’s to: admin@stanexconsulting.com.ng. Application Deadline 30th March, 2018. *Must be a resident in Abuja/Lagos. *Stream A corp members yet to get their P.P.A in Abuja with these qualifications are advised to apply. Interested and qualified candidates should send the CV’s to: info@accessng.com The subject of the mail must be “Infrastructure Engineer – Abuja”. Application Deadline 23rd March, 2018. Requirements: As Montessori Teacher, you will truly experience firsthand the growth and development of your student’s knowledge and skill level. · Your integral role in this process is one that sets the basis for their future successes. We understand the importance of a caring, attentive, and qualified Montessori educator who will teach and guide in a nurturing environment. Calling for customer service agents. Do you own a smart phone, have a valid email, self motivated with excellent interpersonal skills & want to earn handsomely? Then be part of our customer service training holding on March 23-25th 2018. TheNewsGuru owned by Mideno Bayagbon has vacancy for experienced investigative reporters in Abuja and Lagos. Must be able to get water out of stone. Great researcher, fine writer. Fearless. An indigenous Insurance firm, is in need of an Insurance Officer Location. B.Sc/HND in Insurance or ACI. Candidates must possess a minimum of 3 years practical experience with a reputable insurance firm. An electricity distribution company in Abuja is in need of tellers to work at different offices in Abuja. A minimum of OND (Ordinary national diploma). Send your CV to: career.citadel@gmail.com. 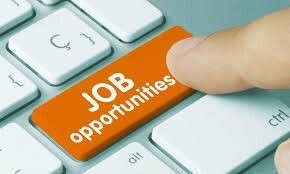 A management Consulting firm is seeking to hire: Operations (Intern) Fin Officer (Intern) Business Analysts 1-3yrs experience, preferably firm a Consulting Firm. Kindly forward CV to swsopportunities@gmail.com on or before 23/3/18 with d role as subject. *Certifications would be added advantage. Requirements: Candidates should possess relevant qualifications. *Certification would be added advantage. Interested and qualified candidates should send their CV's to hradmin@oakhomeslimited.com. Kindly title the email with position applied for. Only qualified candidates should apply.